Hi! 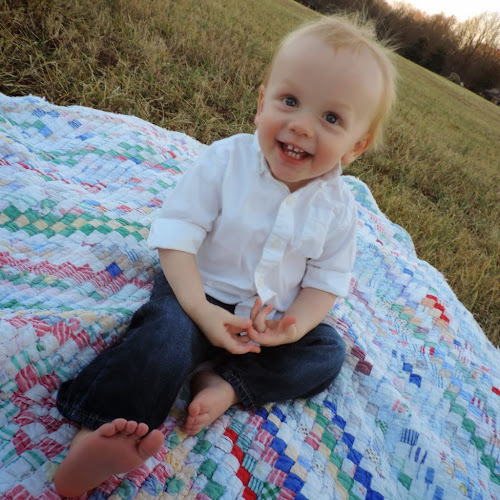 I'm Jess and I blog over at Adventures in Ginger Mommyhood about life, crafting, occasionally running, and raising my son Clay in a non-traditional way. 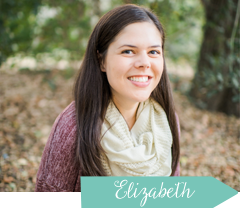 When I first found Elizabeth's series through Katie's blog, I was ecstatic. I kid you not. Finally something for the boy moms! I was even more excited when Elizabeth asked if I wanted to share. Umm. Yes, please. When I found out I was pregnant (you know, after the "oh my gosh I'm pregnant how am I going to tell my family" shock), I just knew that I was having a girl. I had grand visions of big bows and cute dresses and tea parties dancing in my head, you know, two single gals just livin' the life. I went into my ultrasound with a firm boy's name (Clay Lucas) and a girl's name (Piper Ellie). I felt certain that I would walk out of the office shooting off texts saying "it's a girl!" Before the ultrasound tech started, she asked Mike his birth order (second child, older sister) and immediately said, "I bet it's a boy." Nooooooo! I'm not having a boy! I'm having a girl. All the old wives' tales say girl and the are never ever wrong. I've got news for you, those old wives need to lay off the juice because it was (very obviously) a boy. I was sad. I won't lie about that. I had plans to go shopping right after with Amy for the baby's first outfit (and let's be honest, probably the first ten outfits). Guys, I found one outfit I liked. Over the next few days (and weeks), I tried to adjust myself to the fact that I was going to have a boy. A stinky sweaty boy that would no doubt pee on the wall one day and leave the toilet seat up and fart at the table. Ugh. But slowly (with the help of amazing friends), I came to realize that there are so many advantages to being a boy mom and now I can't imagine life any other way! I don't have to teach someone to use a tampon. Wahoooo! Seriously, I understand that we'll still go through puberty but that is all Mike's area right there. I'll pull the "I gave birth to him, it's your turn to suffer" card for sure on that one. I don't have to teach him to squat in the woods/on public toilets. I'm quite sure this is my least favorite part of being a girl. I spent three weeks in Kenya a few years ago. The airport didn't even have a toilet. Just a hole in the ground. I wanted to die. So high five, Clay! You get to pee standing up! It's much cheaper. For sure. While I have found tons of cute boy clothes (thanks Target and Baby Gap), I'm quite certain my wallet would be much lighter if I had a girl. The clothes, bows, shoes, and jewelry. Oh, my. It's all so cute. I'll get to spend a lot of time at ball fields/courts. I love watching sports (I was a sport management major) so the idea of getting to watch my son play is pretty dang exciting! Summers on the farm will be way more fun. My family lives on a farm in Tennessee, and while I'm sure a girl would have loved it, the look on Clay's face when he sees the tractors or slides down a slide with a goat are priceless. Any big advantages I forgot, boy moms? Don't forget to stop by and visit us for our latest shenanigans! If you would like to share a post about you and your son, email me at chasinmasonblog@gmail.com . I would love to feature you! You don't have to have a blog to participate! Jess hit the nail on the head in regards to why being a #boymom is so much better! I high five her for all the reasons she listed!